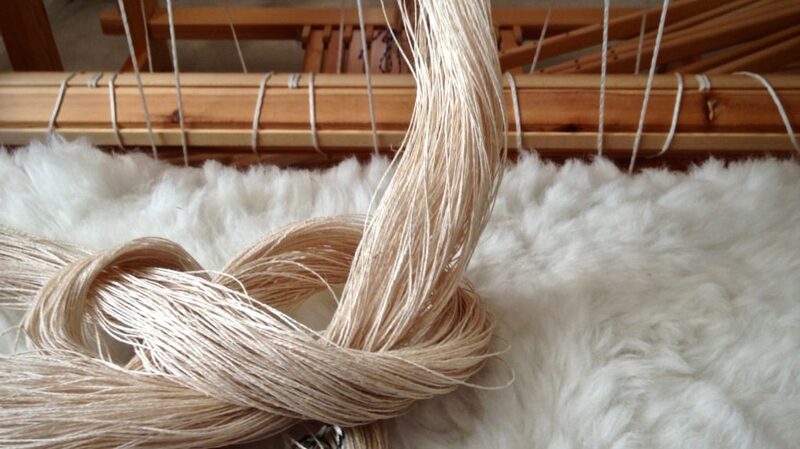 Linen warp and linen weft is a recipe for elegance. The warp chain is a pleasant sight. 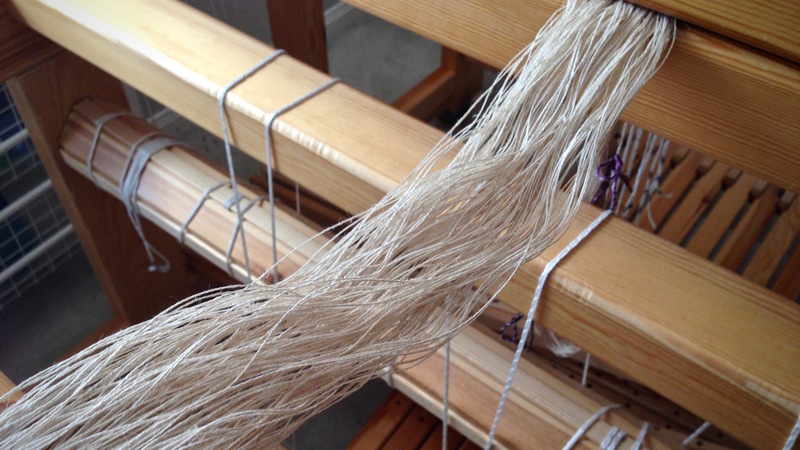 It’s a signal that something is going to happen, that action is in the air, that a loom is about to be dressed! 176 ends of 16/2 Golden Bleached linen. When I see a linen warp chain, I anticipate an exciting project. It’s a picture of work to be done–beaming, threading, sleying, tying on, and tying up. And it’s a picture of fabric to be woven. Linen brings its own challenges, I know. Careful technique and mindful practices are a must. But I’m eager get started! Linen warp is placed with the lease cross just on the other side of the beater. May your anticipation and hope be satisfied. May you have a blessed Christmas! Love to you and your family for special celebrations!